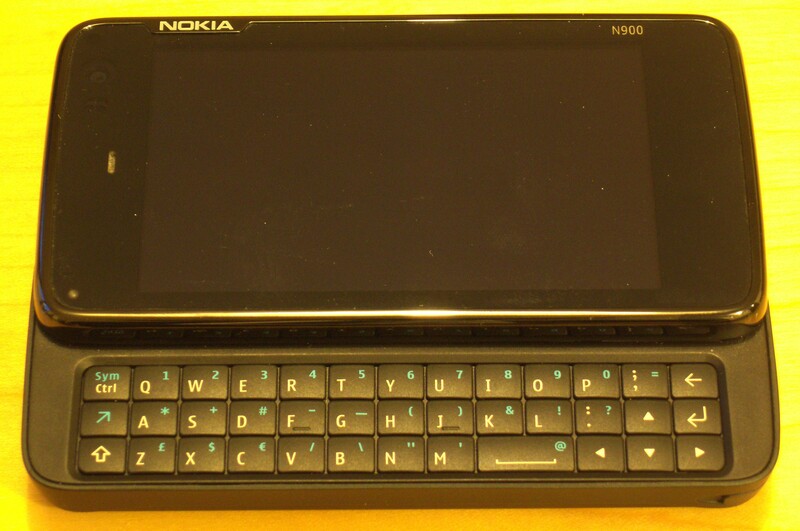 In General, Linux, Mobile, n900, New Toys! 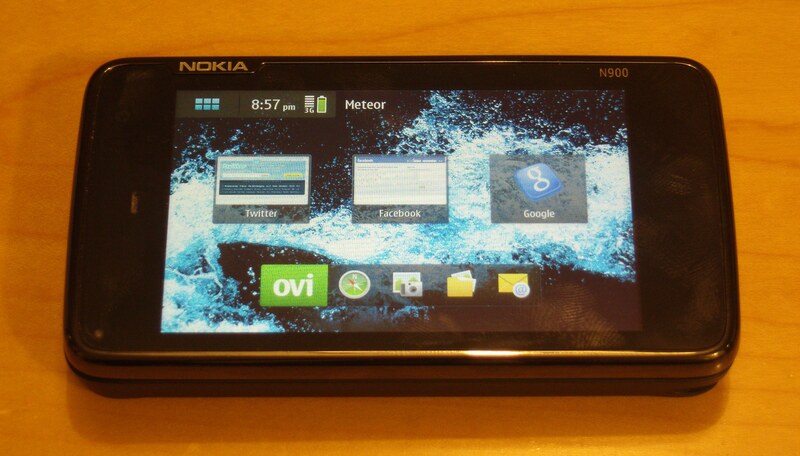 The by-now-traditional thing to do when you get a relatively new piece of kit like the N900 is to do an unboxing post. 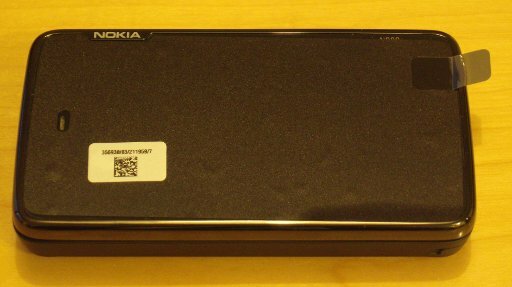 Granted, Engadget have done the ultimate N900 unboxing and since this wasn’t a special developer edition I can’t even get close, but that’s no excuse not to do an unboxing post anyways! 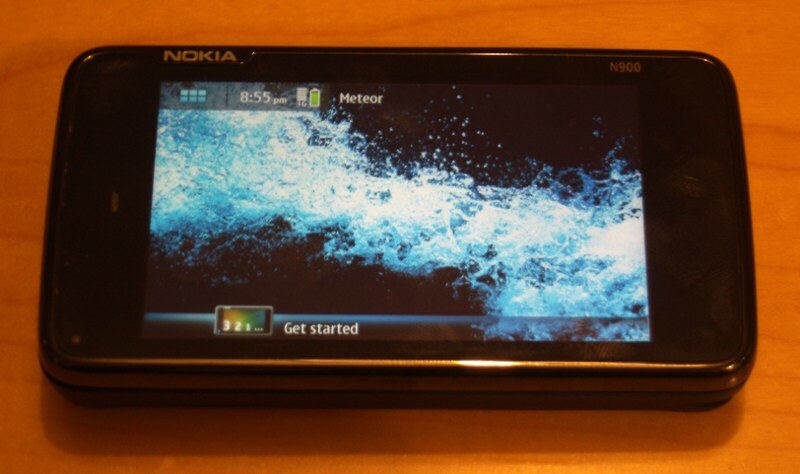 N900 Unboxing 1 - The DHL packet arrives, Icelandic volcanoes be damned! 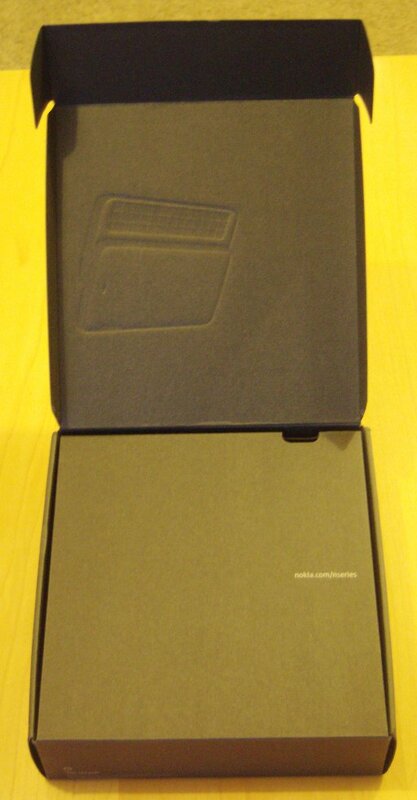 N900 Unboxing 2 - The Box! The embossing and the URL are only little details, I know, but little details count. 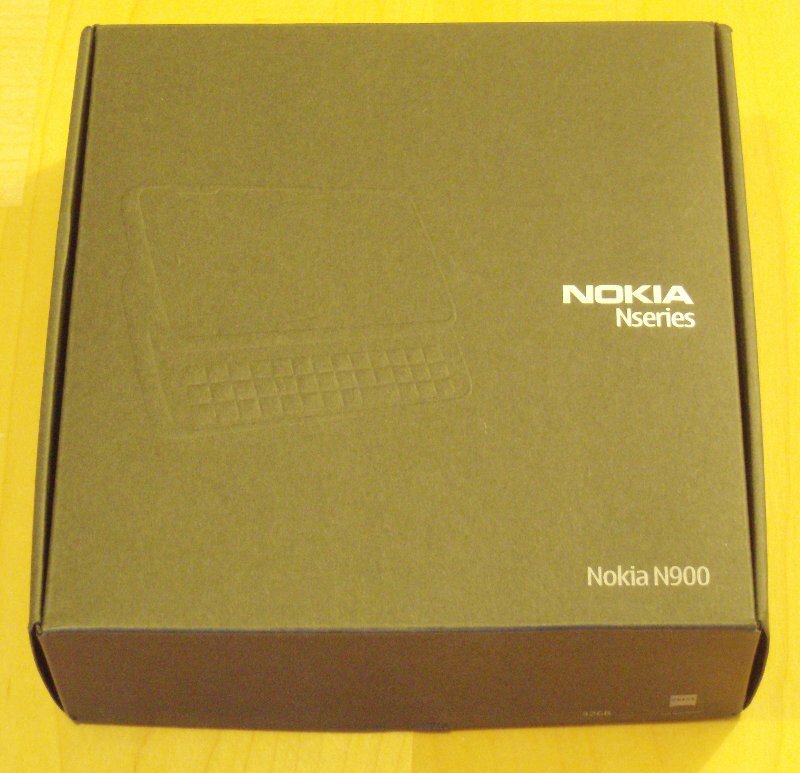 N900 Unboxing 4 - Thar she blows! 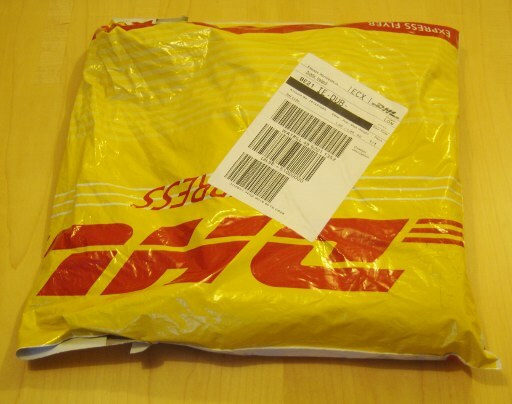 The full contents of the box are reasonable enough. 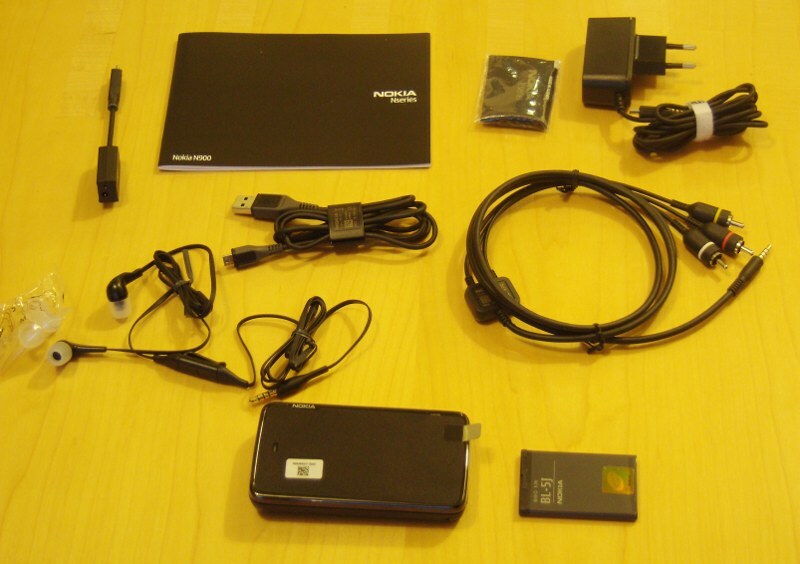 The phone itself and battery pack, USB data/charger cable, USB/mains charger, hands-free headphones with a range of earpiece sizes, a TV-out cable, an old-style charger to new microUSB charger converter cable, the immediately-abandoned manual and a very necessary microfibre cloth. 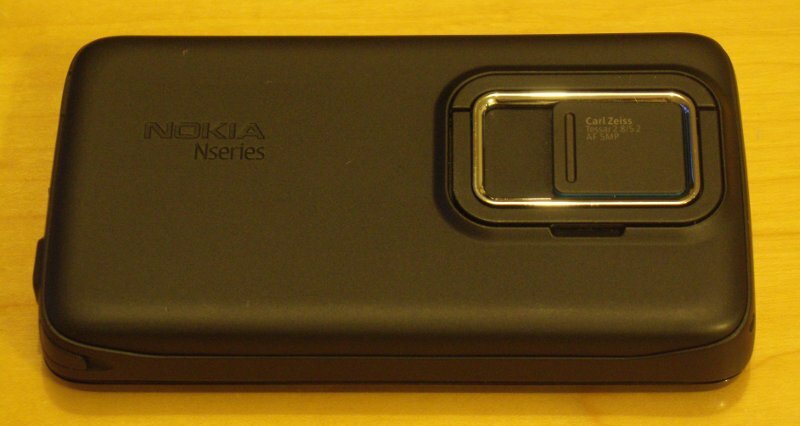 Absent are the standard Nokia case for the phone, but I’d bought one on eBay a fortnight or so ago during my abortive attempt to buy an N900. 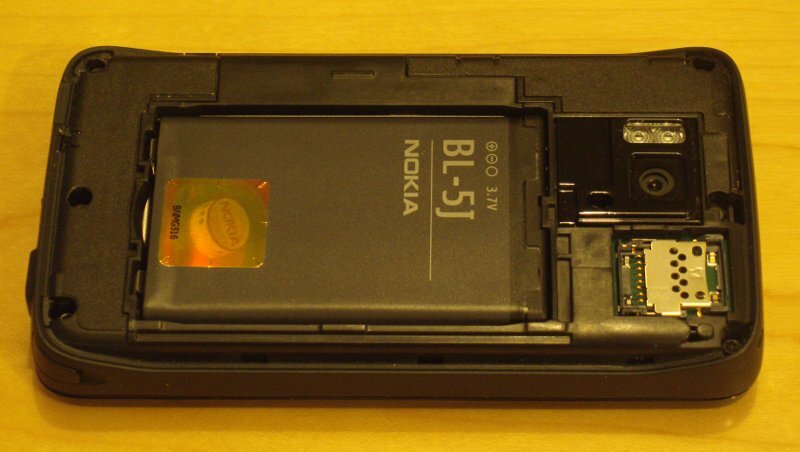 With the plastic sheet peeled off, we get our first look at the device in the raw. 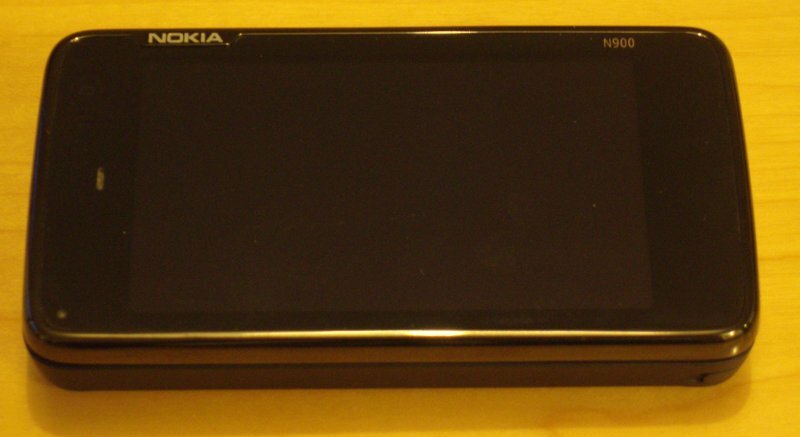 You can note the notification light in the bottom left corner, the cutout for the earpiece speaker above it and though you can’t see it, there’s a camera in the top left for video calls (and with the N900’s support for Skype, that’s the case for a netbook given a major kicking right there). 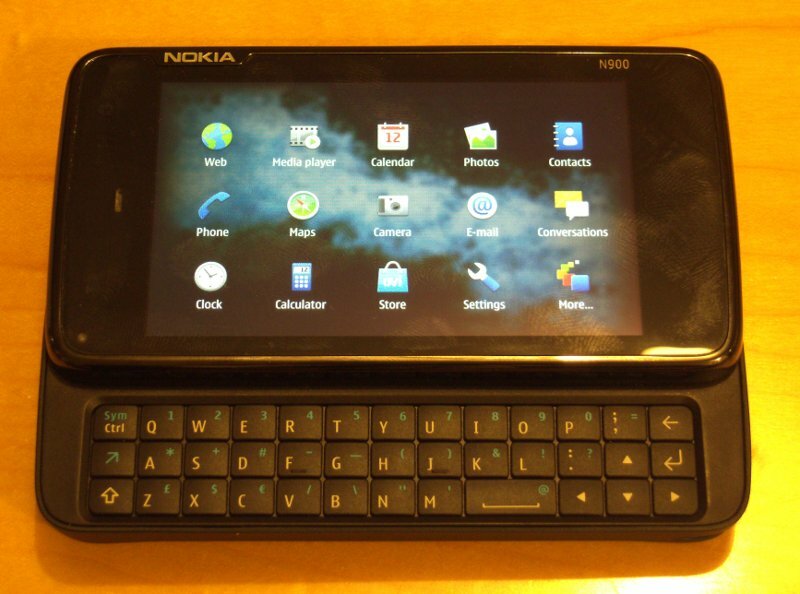 Sliding the screen away from you reveals the physical keyboard (there is an onscreen keyboard, but the physical keyboard is faster 90% of the time). The keys are far more compactly laid out compared to the N97 (I compared the two devices with an N97 owner today), so for large fingers the N97 may look more comfortable; but in practice, I’ve had very few miskeyings so far on the N900, and while I wouldn’t write anything too long on it, it’s perfectly serviceable for twittering away. That said, you do find yourself using thumbnails more often than seems right. Closing the device again and flipping it over reveals the rather simple back of the unit, with a nicely covered lens on a 5MP camera. 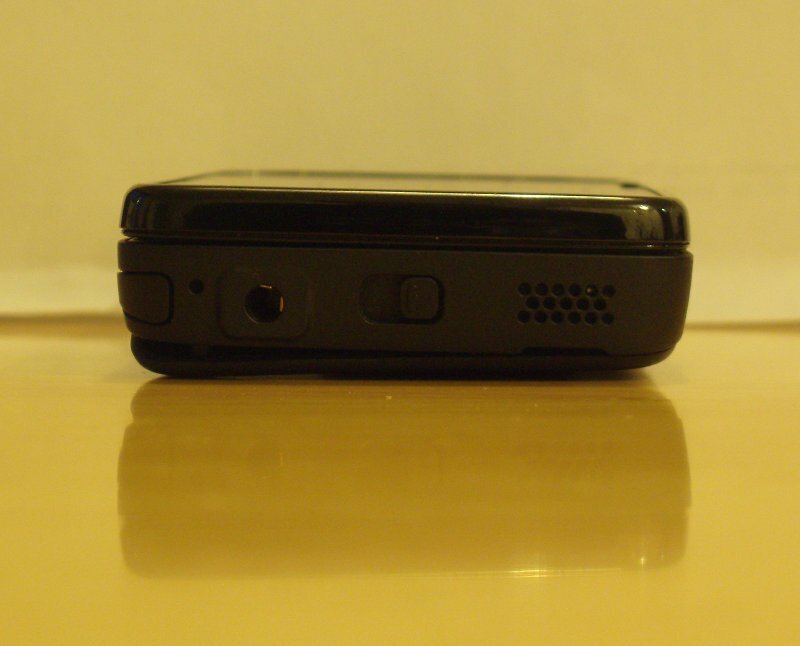 This sliding lens cover also acts as an activation switch for the camera, in the same way as it did on the Sony Ericsson k750i and several other phones. It’s a good, solid, practical idea, one I miss having on the e71 and am glad to see on the N900. Opening the lens cover revelas the lens and two flash LEDs. 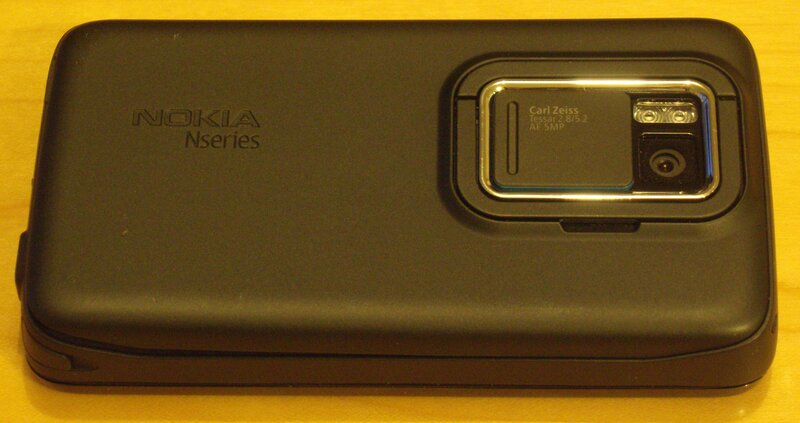 You can also make out around the lens cover housing, the flip-out stand, which is quite useful when using the N900 as a small TV for podcasts or video chats, even if it is fairly unadjustable. The actual mechanism inside the lens cover is very simple. Removing the back is also quite easy, far more so than on the e71 – though I do wonder if that means that like on the e72, the back will pop off when that’s not the desired intent﻿? 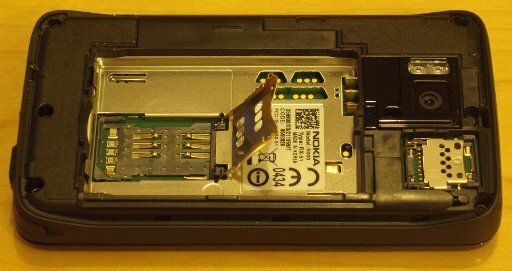 The guts of the system are nicely laid out on the inside: SIM card on the left, microSD card on the right, and the battery goes on top of the whole lot. 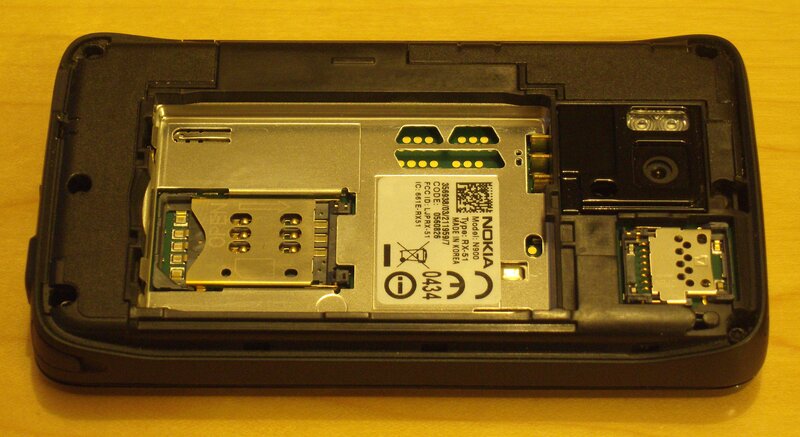 N900 Unboxing 17 - Powered up! 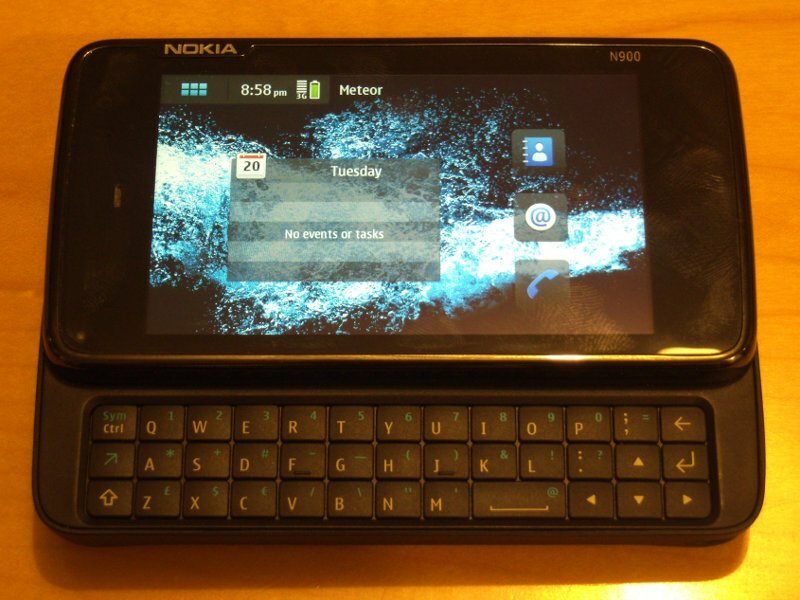 N900 Unboxing 18 - Buttons from above! 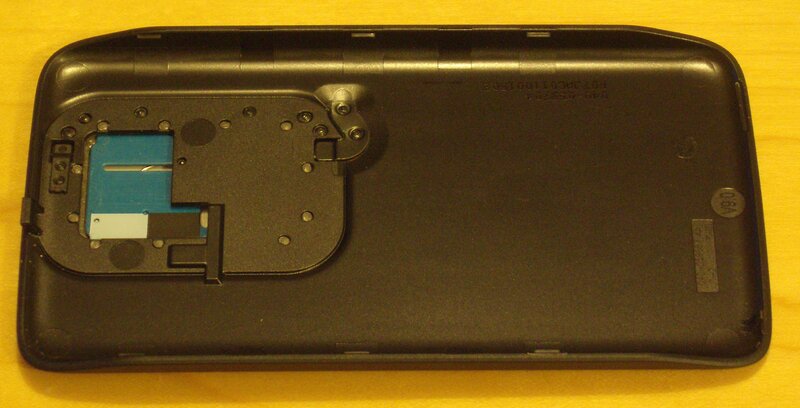 Left to right: Stylus, Reset button, Headphones port, Screen lock slide button, Speaker grille. Note that I hadn’t spotted here that the back wasn’t fully on here on the left – firm pressure pops that back in and it seals up far better than you see here. 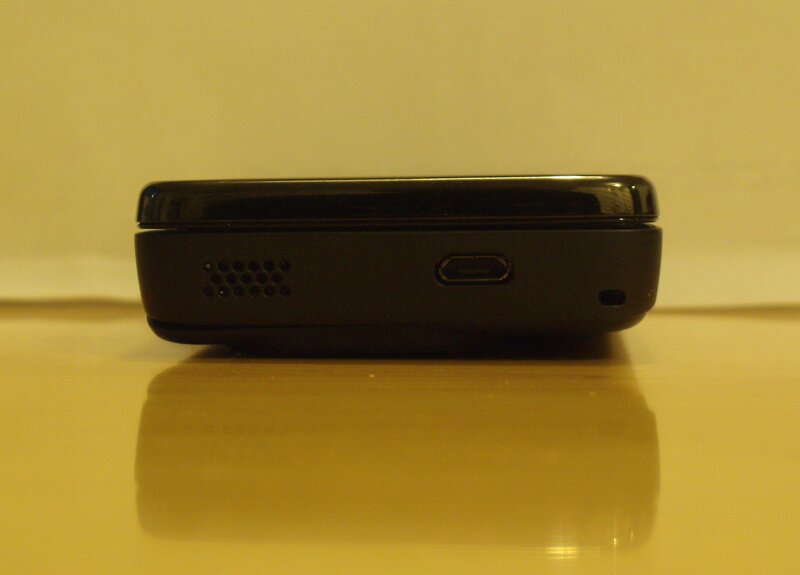 Left to right: Speaker grille, Micro USB port, Lanyard attachment point. Again, the seal with the back on the left side of the photo is down to the back not being fully attached here; it’s much better than this once that’s fixed. Bootup takes less time than on the e71 by quite a margin. Entering the PIN can be done either with the onscreen keyboard or the keyboard – these dialing pads are about the only time when the keyboard is more cumbersome since it requires the num.shift key for each digit. 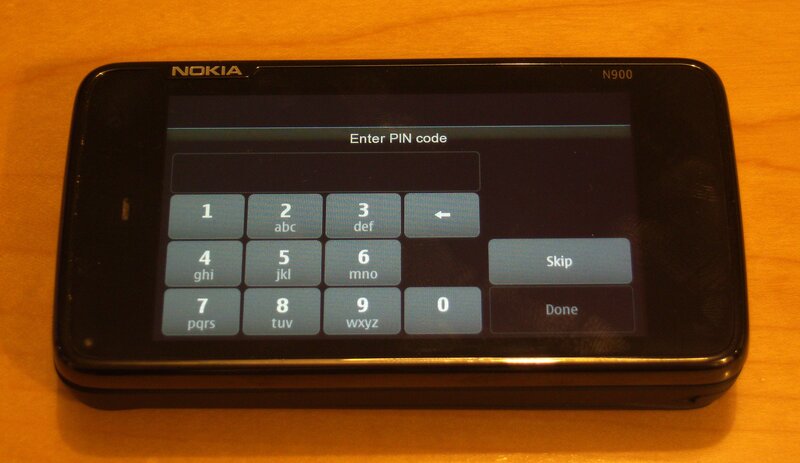 Once the PIN is entered and the initial powerup starts, some basic stuff needs to be set up. 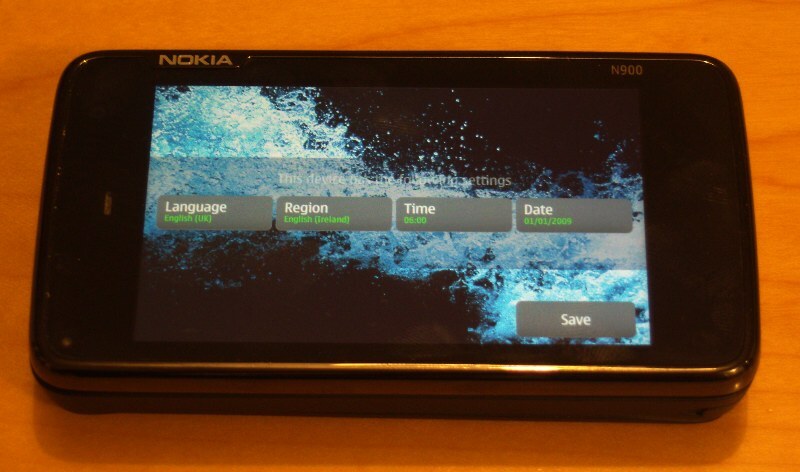 Nokia’s cleverly used this process as a sort of tutorial on how to handle kinetic scrolling and basic input widgets as well. Nice to see people thinking about the small things like this. With the initial setup out of the way, the first screen shows the ‘Get started’ video link to walk you through the device. Again, a nice touch. At this point the device is up and running, so let’s conclude with a quick look at some of the other default desktops. IRDA? A bit dated, no? Lots of phones have IRDA, and laptops as well (Herself’s Dell laptop for example). 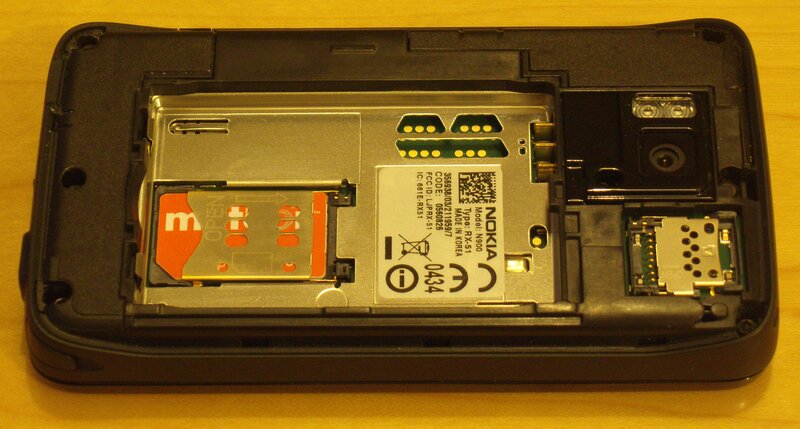 For short-range, low-power data transfer, it’s hard to beat. 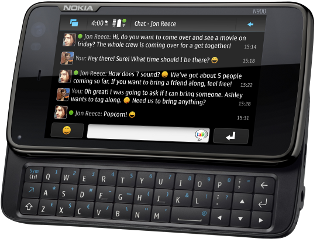 Think the N900 is about as tempting a non-Windows, non-Android, non-iphone option as there is at the moment (which I intend as a compliment!) 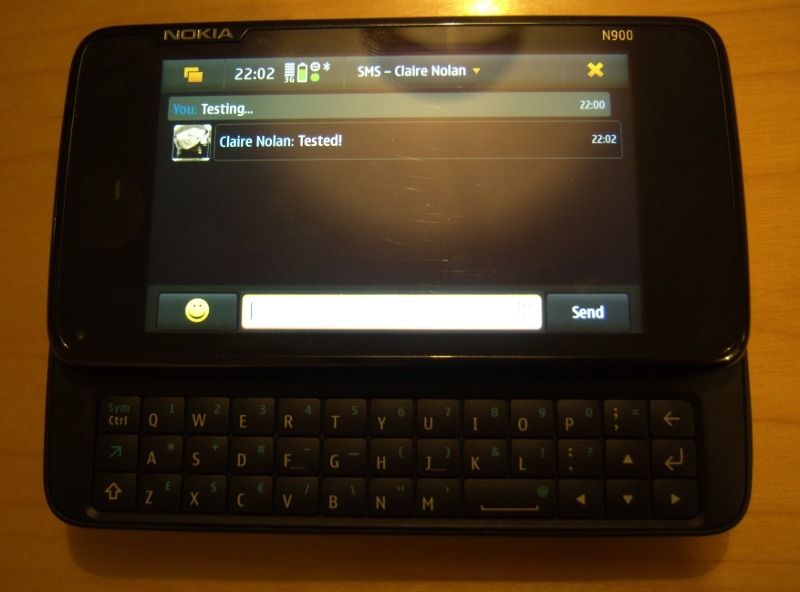 – I must say I love my Hero (despite occassionaly dodgy reception issues from Meteor) and now go to it 9 times out of 10 whenI would previously have used Sarah’s netbook. I’m also preferring the Android apps and Web experience to my i-pod touch’s. The N900 looks good and is tempting, I look forward to seeing/hearing how you get on.